This issue – Steve Pace tackles the three most common faults in the golf swing. 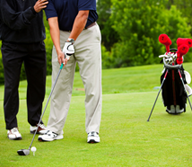 According to Mr. Pace, most golf shots are missed in the take-away or beginning of the back swing! If the take-away is “OFF”, I guarantee the return to the ball will be “OFF” too. These TIPS are designed to help with a more disciplined backswing. If you have golfed much, then you have learned how the swing feels. The problem is what golfers have learned to feel, quite often, needs to be changed. It takes about 500 to 600 balls, hitting 50 at a time to change one bad habit to good one. Be Patient! By the way, I GUARANTEE my TIPS! The absolute most common problem that amateur golfers want to fix is “the slice “; and it just might be the easiest fix of all. This will require diligent practice, but “the slice” will be gone. 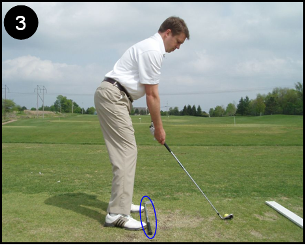 FIX: Do this simple step: Keep your knees slightly flexed during the entire backswing (especially your trailing knee). It is natural to want to straighten your back leg during the backswing, but you must learn to keep it flexed (see photos #1). 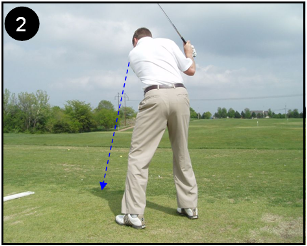 The proper pivot point of the golf swing is at the trailing knee, not the hip. A general description of how a set up should feel is that of “just getting ready to sit down”. Also, don’t let the knee slide back with the backswing. Keep it flexed and under the back hip. The second most common problem that we hear from students is that of not having consistent ball contact; “Thin” one time and then “Fat” the next. Head movement causes all kinds of problems. Observe the better players at your local golf course and see how still or calm their head is during the back swing. There really is no need for the head to travel. If your head moves, it is simply a bad habit. casts a shadow directly in front of you. Now, assume your set up (with or without a club) and observe your head motion as you make your backswing (see photo #2). It should not go up, down or left or right. Take some practice swings as you are looking at your shadow and keeping your head still or in the same place. Another good way to learn how this feels, is to arrange where you can see your reflection, face-on. Emulate your golf swing, especially the backswing. Watch your head movement. I tell many of my students to simply try and keep their nose still during the backswing. want the ball to travel. Where your toes go, so go your knees, and your hips, and your shoulders, and ultimately the golf ball. Once again, pay attention to how the set up feels. You may need to learn all over again how it feels to be “on-target”. FIX: Take one of your extra clubs and have it handy. Address the golf ball and assume your set-up. Now, once you feel that you are positioned to hit toward your target, lay the extra club shaft down along your “TOE LINE” (see photo #3). Then step back about 10 feet and see if the shaft of that club is aimed at your target. That is the goal and it may take awhile to adjust. All you want is to be consistently perpendicular to the target line. Steve Pace, Grand Lake Golf Academy at Patricia Island Golf and Estates. Steve Pace is the former golf coach at N.E.O. A&M College, Miami, OK.
Mr. Pace also is the director of golf instruction at Patricia Island Golf Club in Grove, OK. He has taught over 4,000 students in the past 17 years and conducted 100’s of golf classes and clinics. He was formerly the head golf instructor at Shangri-La Resort and Country Club on Grand Lake. 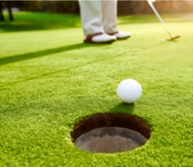 He was certified by the United States Golf Teacher’s Federation in 1992 and passed the P.G.A. Playability Test in 2003. Mr. Pace writes a weekly golf column in several local newspapers. He also created the curriculum and teaches adult golf classes in several northeast Oklahoma cities as well as Summer Junior Golf Camps. His philosophy is to simplify teach the most basic fundamentals of a good golf swing. He teaches the basic discipline of Grip, Alignment, Stance and Posture (G.A.S.P.) also referred as LOGICAL GOLF. He teaches a simplified but logical putting discipline that works for everyone. He believes that golf is a game and therefore is meant to be FUN. Mr. Pace is the owner of the GRAND LAKE GOLF ACADEMY located at the Patricia Island Golf Club in Grove, OK which is in the northeast corner of Oklahoma on Grand Lake. Like most good Westerns, The Posse and The Outlaw at Paradise Pointe are the two main forces in the drama that surrounds golfers at one of the area’s most intriguing, and challenging, golf complexes. Just 20 miles from where Jesse James was born and grew up, Paradise Pointe features two championship-length courses, each with its own style and personality. Which is the hero and which is the antagonist is debatable – not unlike the legend of Jesse James himself. The Posse was the first of the two courses, built in 1982. Its front nine stretches out along the lake before turning away from the water, but towards other hazards and challenges. Trees, smaller lakes, and the ever-present wind off the lake make The Posse a formidable foe for any golfer. It is the shorter of the two courses, with a pair of par 5s and par 3s on each side for an overall par 72. 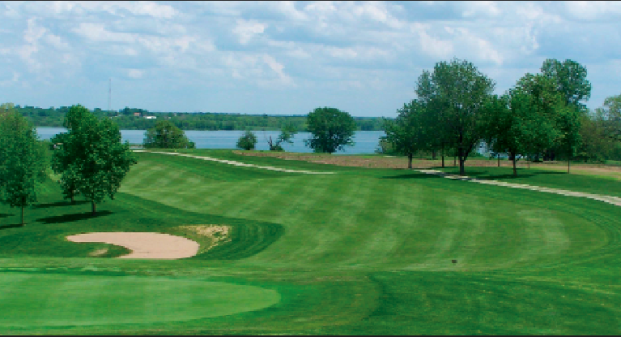 It features bluegrass fairways and is punctuated by its signature 18th hole – a long par 5 featuring a substantial cottonwood tree that splits the fairway of the soft dogleg that arcs back to he clubhouse. At over 550 yards, golfers need a lot of stick to get there in two. 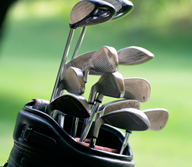 It’s best advised that most golfers lay up to a comfortable distance and let their short irons bring them home. The Outlaw is perhaps best known for its challenging tenth hole. The long par 3 heads straight out from the tee box to the lake, with the green perched at the end of a long point, putting water just off the edge of three sides. Golfers shooting for a middle or back pin had better be very accurate or they’ll end up in the drink. On either course, you’re likely to notice two things. First, the course is typically in fantastic shape and as you play, you’ll find yourself wondering why you don’t visit the course more often. The other thing you’ll notice is the lack of homes, buildings, or other development. Since the land on which the course sits is owned by the Corps of Engineers, you wont be looking at backyards all day, but rather woodlands, lake views, or wide open spaces. One thing they take pride in at Paradise Pointe is pace of play. They’ve set up both The Outlaw and Posse for quick-paced rounds. “We have a 4 1⁄2 hour pace of play, and people like to come out here and know they’re not going to spend the whole day,” Hall said. Hall indicates they do this with well spaced tee times and by managing the pace throughout the day. The Posse has nine-minute intervals, while the Outlaw adds an extra minute. The staff has done their homework and they know that spacing like that means golfers can rely on a well-paced round – something that keeps today’s busy golfers coming back for more. For over ten years, the golf shop at Paradise Pointe has been selected annually as one of the “Top 100 Golf Shops in the Country” by Golf Digest. They have a great selection, but customer service sets them apart from the competition. John Marquardt, the Director of Golf, has been selected for “Merchandiser of the Year” over 50 times. With custom club fitting and some of the best folks in the business, you will definitely find the right clubs at the right price. “Every aspect of the game can be fit,” Hall said, “and every stage of the golfer should be fit.” They will get you fit with a complete new set, from your driver to your putter. Perhaps the best part about getting fit at Paradise Pointe is golfers get to hit on the driving range where they can watch the flight pattern of the ball and see the results immediately. 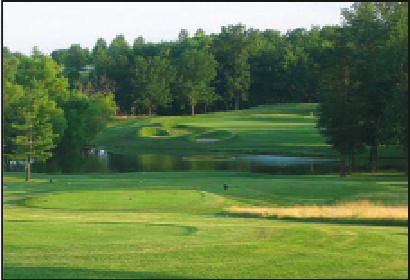 For more information, call the pro shop at 816-532-4100, or visit their website: www.paradisepointegolf.com. A new year and a new driver – sounds good, doesn’t it? In this month’s equipment review, the classic styling, enhanced adjustability, cutting edge aerodynamics, and even some subtle uses of technology are covered as all the major manufacturers roll out their 2012 models. 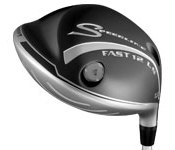 So – bomb away (or just read along) and find yourself a new big stick for 2012.
improve speed through impact. The Fast 12 and Fast 12 LS both have new clubhead shaping, including three “tri-steps” or lines across the back of the crown. Besides those changes, Adams has taken it even further this year with the finish on the shaft. To the touch, it feels rough, perhaps even unfinished, but that rough surface helps the shaft cut through the air and speed the club into the ball. The main distinction with the LS model is an adjustable hosel that allows for adjustments to loft, lie, and length. Yes – you read that correctly – with an adjustment to the hosel, golfers can make the 45 inch shaft a tad longer at 45.5 inches. So you can dial down the length of the club for control on courses with tight fairways or let it out when you need more speed. 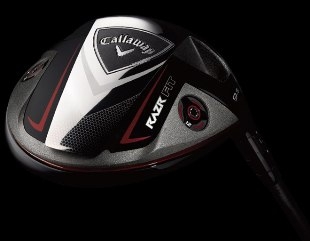 Another addition to the adjustable driver arena is the Callaway RAZR Fit. This is the driver Phil Mickelson loves to hit as it propelled him to a win and a T2, both in the month of February. With a design goal to keep it simple, the club has an adjustable hosel that sets the club either open by 2.5 degrees, square, or closed by 1.5 degrees. Add to that a pair of weight screws in the sole (a 2-gram weight and a 12-gram weight) and golfers can adjust ball flight even more. The clubhead has a forged composite crown (that’s the stuff they developed with Lamborghini for use in high performance cars and golf clubs) on a titanium body. All that technology and adjustability make for a consistent golf club that performs very well on impact with the sweet spot and even not-so-sweet spots. Performance and forgiveness via technology in a driver is good, but that kind of technology in a beautiful looking club is even better and the Cleveland Classic driver is exactly that. At first glance, you would swear the 460cc clubhead is made of persimmon with a classic gold sole plate and face insert. Even the large stylish “1” on the sole evokes memories of traditional drivers from a bygone era. Those good looks are more than skin deep, however, as the club incorporates the lightweight features and specific club-weighting for which Cleveland has been known in recent years. 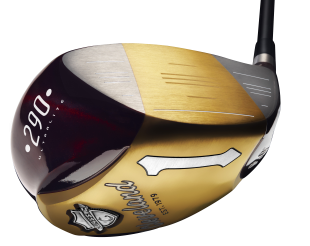 What that means is the club is a great performer whether you tend towards the lighter 270 gram (total club weight) or 290 gram model. 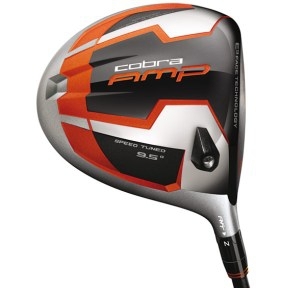 The Cobra AMP driver is the one you see Rickie Fowler busting fruit with in his commercial. If you haven’t seen it, I’m sorry if you just got mental images of Gallagher smashing watermelons. Think more along the lines of exploding oranges. Orange dominates the color highlights on this club that innovatively uses the bulge of the face to provide improved forgiveness for amateur golfers’ most common misses. The bulge is tilted rather than uniformly vertical or horizntal, which means shots high on the toe or low on the heel have a better chance of staying in the fairway. The club also has an adjustable hosel, letting golfers open or close the face by 2 degrees. Finally, an offset model can be put into play for slicers who need a little more help squaring the clubface through impact. incorporates what they call the NexCOR face. We assume the COR part of the name refers to coefficient of restitution, or the spring-like effect of the clubface when impacted. In a NexCOR clubface, it is thicker in the middle but thinner around the perimeter. Think of a miniature trampoline at the end of your club. Those thinner edges of the face are not unlike the springs on the edges of a trampoline, ready to propel your ball forward like an over-enthusiastic grade-schooler. The whole thing is held together by the STR8-Fit hosel, offering eight different settings of loft and lie. Want long? 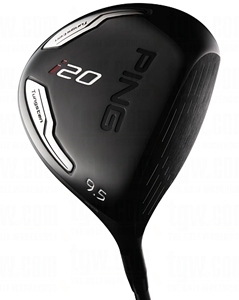 Then check out the Ping i20 or G20 driver. Ping drivers always seem to have another gear when struck really well while still covering up less-than-perfect strikes. The former is more of a player’s club although when compared with its predecessor, it has more forgiveness due to two tungsten sole weights that improve the Moment of Inertia and set the center of gravity in a position that delivers great performance while maintaining a degree of workability preferred by better players. Even with improved forgiveness, the i20 is perhaps not well suited for slicers due to its overall design. Meanwhile, the G20 takes advantage of its special low-density, lightweight titanium head to place more weight where it’s needed in the clubhead. In this way, Ping can improve its overall performance and forgiveness, but in a way better suited for golfers who need to keep the ball travelling straight and are less concerned with working a tee shot right or left. And, yep, it’s got that second gear too, helping golfers unleash bombs from the tee. And let’s not forget TaylorMade and a couple of models they recently released. The TaylorMade R11S has a lot of the features of the earlier R11 model, but features a larger head at 460cc as opposed to 440cc. That means a bigger sweet spot and more forgiveness in a great club. Of course, TaylorMade provides all the adjustability they’ve been known for with a soleplate that can be set to provide five different face settings from three degrees open to three degrees closed. The hosel, too, is adjustable, providing the ability to adjust loft by 1.5 degrees, while moveable weights in the sole provide even more capability to manage ball flight. 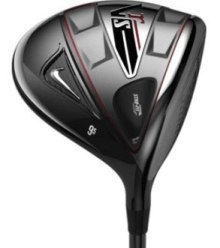 Another model, the TaylorMade RocketBallz driver is just fun to say. After you get over the joy of having a legitimate reason to talk about something called RocketBallz in public, you will realize that this is a very good driver. Like the prior Burner models, it has very lightweight construction with a standard 46 inch shaft. It also has TaylorMade’s Flight Control Technology that includes a hosel with eight settings for loft and lie. 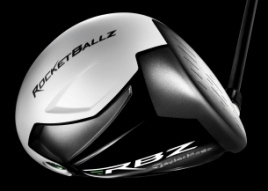 A Tour version of the RocketBallz driver is also available. As the Tour name suggests, it utilizes a differently shaped head to provide more workability and provides a ball flight better players are seeking.